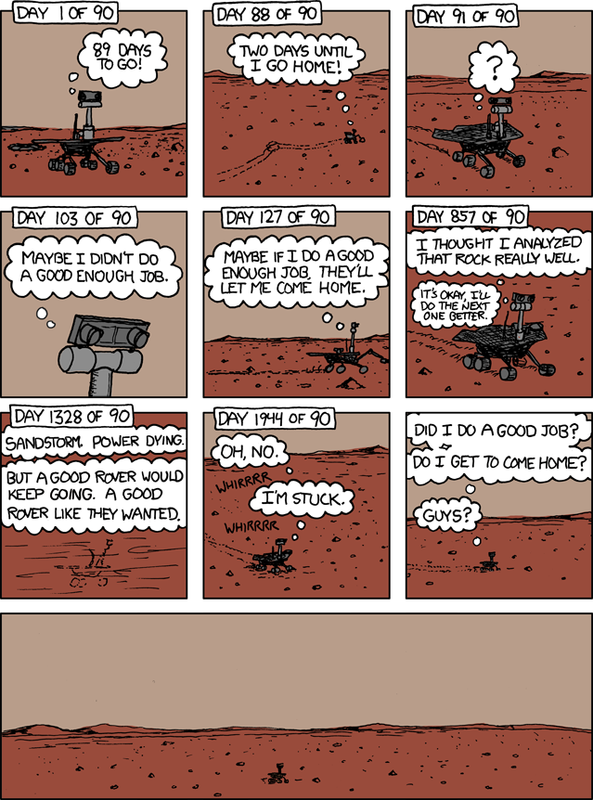 Back on 9 February, I wondered if Randall Munroe of xkcd would do a web comic on the ICE/ISEE-3 probe (DW). Well he did! UPDATE 3/3/2014: He did! 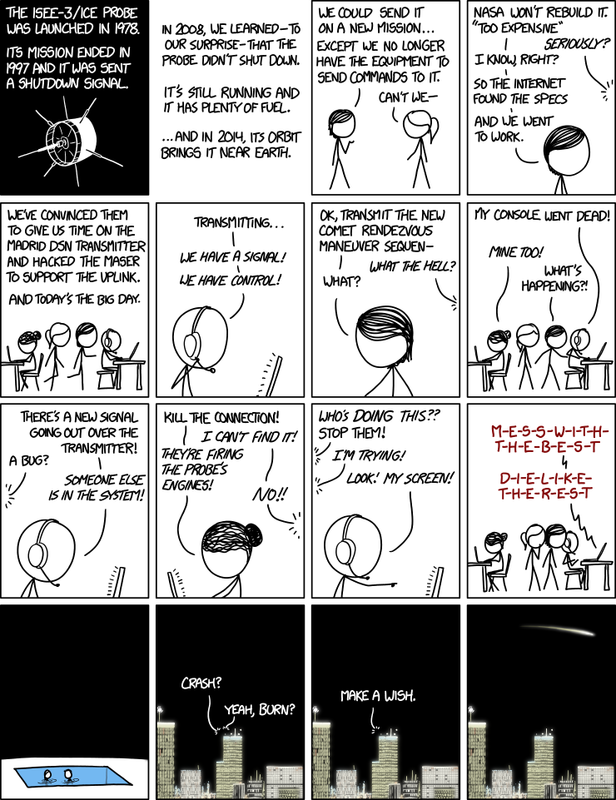 (grin) http://imgs.xkcd.com/comics/hack.png I am happy now.